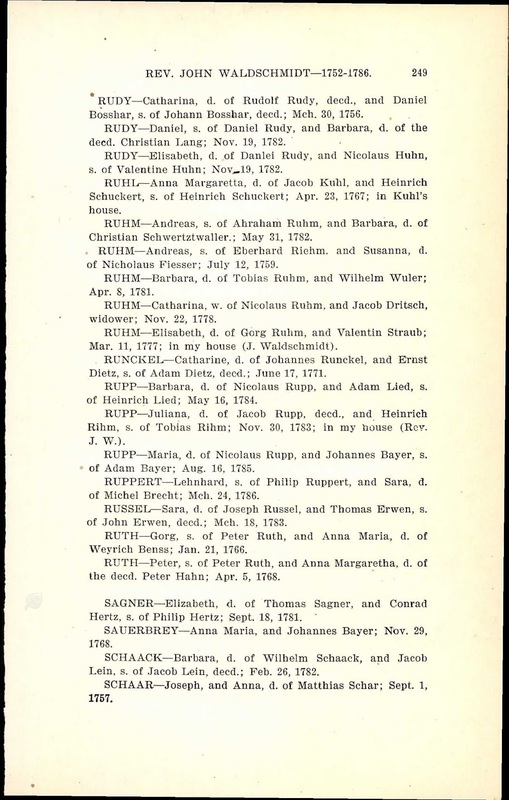 "RUTH -- Gorg, s. of Peter Ruth, and Anna Maria, d. of Weyrich Benss; Jan. 21, 1766." 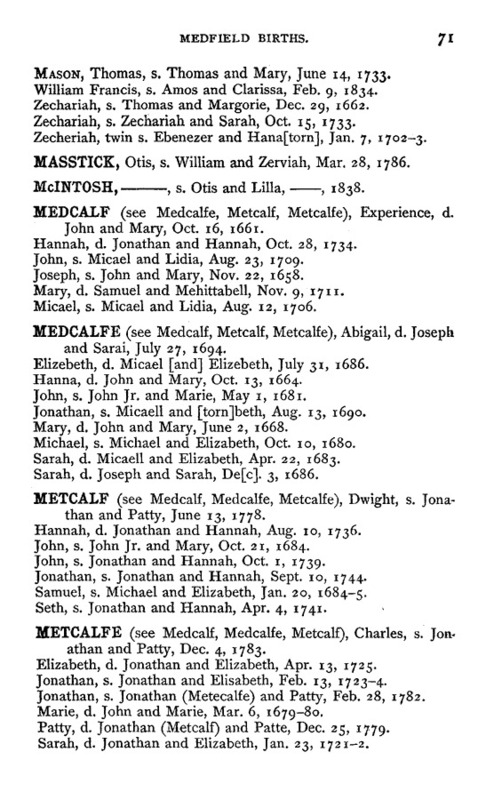 "Pennsylvania Compiled Marriage Records, 1700-1821," digital images, Ancestry.com (https://www.ancestry.com : accessed 17 March 2019), Lancaster > Rev. 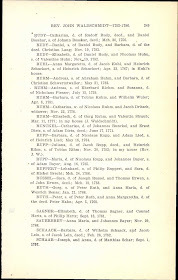 John Waldschmidt, 1752-1786, page 249, Gorg Ruth and Anna Maria Benss marriage entry. This is a Derivative Source record, with Primary Information and Direct Evidence of their names, marriage date and marriage place. The names of the two fathers is Secondary Information. I will attempt to find an Original Source record in the Lancaster church records. George Ruth (1740-1812) is the son of Johann Peter Ruth (1704-1771) and his second wife, Eva Catherina Meyer (1715-1793). Anna Maria Benss (1751-1796) is the daughter of Johann Weyrich Bentz (1705-1782) and Anna Maria Barbara Schlauch (1711-1796). George and Anna Maria (Benss) Ruth had at least five children between 1770 and 1779. George and Anna Maria (Benss) Ruth are my 5th great-grandparents. I am descended through their first child Catharina Ruth (1770-1813) who married Philip Jacob Konig (1764-1829) in York, Pennsylvania in about 1788.